A long narrow strip of land in South America, Chile is known to have one of the strongest economies in the region and one of the most stable countries. Those who are moving to Chile will enjoy the warm hospitality brought forth by Chilean nationals. Tip: Don’t forget to explore the famous Easter Island at the Valparaiso region! Chile is a land of breathtaking sights, awe-inspiring historical structures, and an overall mysterious allure - all traits of Chilean charm. Chile, a prosperous Latin American country, is a winding coastal strip with the Andes Mountain on its eastern border and the Pacific Ocean on the western side. Due to the variation in the landscape, the climate ranges from extremely dry in the north to perpetually rainy and cold in the south. The central region; however, has a Mediterranean climate, which means it is mostly warm to hot throughout the year. The country has a population of 17, 936, 373 people, with expats making up 53% of the population. The country's wide-ranging topography is also the reason why Chileans can have different means of livelihood. The desert lands of Chile are rich in minerals like copper and nitrates. Copper mining is a major source of income for the country, making up one-third of government revenue. Blessed with agricultural land as well, Chile also exports wood products and fish like the Chilean Sea Bass and is a leading exporter of fresh fruits to the European Hemisphere and Northern America during their winter months. Major job industries in Chile include foodstuffs, fish processing, iron and steel, wood and wood products, transport equipment, cement, textiles, copper, lithium and other minerals. Expats who plan to work in in Chile will be glad to hear that the employment rate is at 60%. The country's economy has remained stable and impressive with a GDP real growth rate of about 3.2% in 2008 that continues to flourish due to foreign trade. With a well-established economic policy and a very low level of corruption, the country's growth surges forward, ranking first in Latin America in the Global Competitiveness Report for 2009-2010. 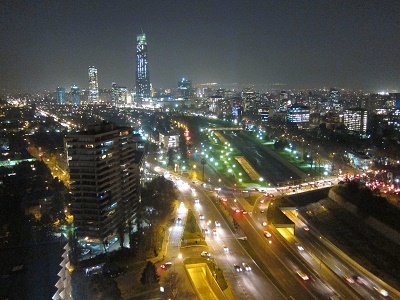 Not only does Chile have a remarkably thriving economy, it also boasts a low crime rate. The country credits this mostly to their police force called the Carabineros. Established in 1927, they maintain order and respect for the laws of the Republic. Expats note that the Carabineros are an honest and efficient security force. Just like most Latin American countries, the religion of the Chilean population is mostly Roman Catholic. In fact, as of 2002, 70% of the population over the age of 14 is Catholic. Home to the Nobel Prize winning poets Pablo Neruda and Gabriel Mistral; Chile is also a sanctuary for the arts. Based on reports by the UN, Chile has had a 30.54% increase in immigrant population since the year 2000. The increasing number of immigrants moving to this Latin American destination may be due to the low cost of real estate in the country. A 40-acre lot in the coasts of Chile costs about half of that in the United States. If you are not ready to purchase property, renting an apartment or a condo may be the best option. 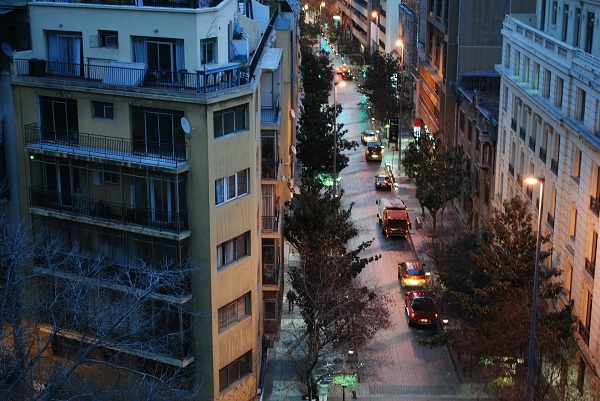 Neighborhoods in Las Condes, La Reina, El Arrayán, Vitacura, Pedro de Valdivia Norte, El Golf, Barnechea, La Dehesa and Ñuñoa have the best housing and safety conditions. For those whose main goal is to live indefinitely in Chile, the first big step is to secure a visa and a Chilean Identification Card (also called a carnet). 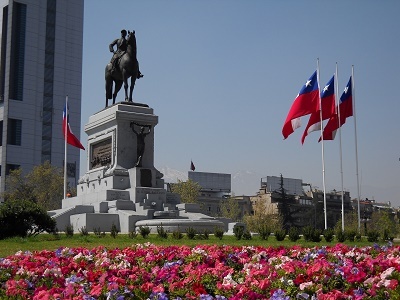 The visa can be acquired through any Chilean consular office while the carnet can be obtained from the Chilean Passport Bureau for a fee of about USD $12. To be able to apply for permanent residency, you must have had a temporary residency status for one year. A prospective expat can apply for this at the Foreign Legalization Office. Once everything is settled by getting a house to live in, a job to live on, and the legalities of being an expat, you can start learning and appreciating the Chilean culture. Chile is a land of intriguing ancient cultures, but the reason why expats move to this Latin American nation is no longer a mystery. Your next step is to find movers in Chile which can help you immensely with your packing requirements. The shippers will provide the authorization form to clear and the customs declaration forms.In packing your things for Chile, remember to declare items such as laptops, cameras, personal computers, cellphones and other electronic gadgets are for your own personal use. If the item is brand new, make sure to remove it from the box as it may be seen as an item for resale. You are allowed to bring up to 400 cigarettes, 50 cigars, and 500 grams tobacco, and not more than 2.5 liters of alcohol or liquor---tax-free.You may import used household goods up to USD 5000.00 ---tax-free and duty-free, which means you can bring in your old electronic appliances without paying customs taxes as long as it doesn't exceed USD 5000. You may need a transformer to go with it since voltage for all electronic appliances in Chile is 220v. Lastly, remember that the seasons in Chile are the opposite of Europe. Winter comes in July and August. Pack your winter clothes, but have some summer clothes and rain gear as well. Once you have taken care of your packing requirements, relocating to Chile should be a breeze. You can now look forward to an exciting new life as an expat off to live and work in beautiful Chile. Chile is one of the best places to work in Latin America not only because of its stable economy, 60% employment rate and low inflation rates, but for its remarkable natural beauty. Its rich natural resources sustain highly developed industries such as copper-mining, forest products, fruit, and fishing. Another good thing about working in Chile is the cost of living; usually it is 25-40% cheaper than in Europe or the USA. Your chances of finding a job in Chile increase if you are an English instructor, or someone who could provide services in advertising, film production, photography, web design, adventure travel, and tour-guiding industries. Working hours generally start from 8:30 am to 6:00 pm, however, it is not common practice to leave the office on time, as Chileans consider it a good work ethic to extend working hours. Major job industries include the copper, lithium, other minerals, foodstuffs, fish processing, iron and steel, wood and wood products, transport equipment, cement, and textiles industries. In business meetings, business cards are given after the introductory handshake. You will notice two surnames indicated on their business cards, the father's surname appearing before the mother's surname. Remember to address Chileans by their father's surname that appears to be their middle name by Western standards. It is considered good business etiquette to start business meetings with a polite social chat, which may include questions about your family. You may also do the same, and if it is your first time in Chile, it would please Chileans to hear you give compliments to their beautiful country. Known as an adventure travel destination, Chile's geographical diversity can give you a lot of outdoor activities and nature spots to visit. Working and living in Chile can give you one of the most memorable and enjoyable experiences as an expat.